Here's the scoop! Our children's birthdays are 2 days apart so while they're little, we decided to throw joint birthday parties. 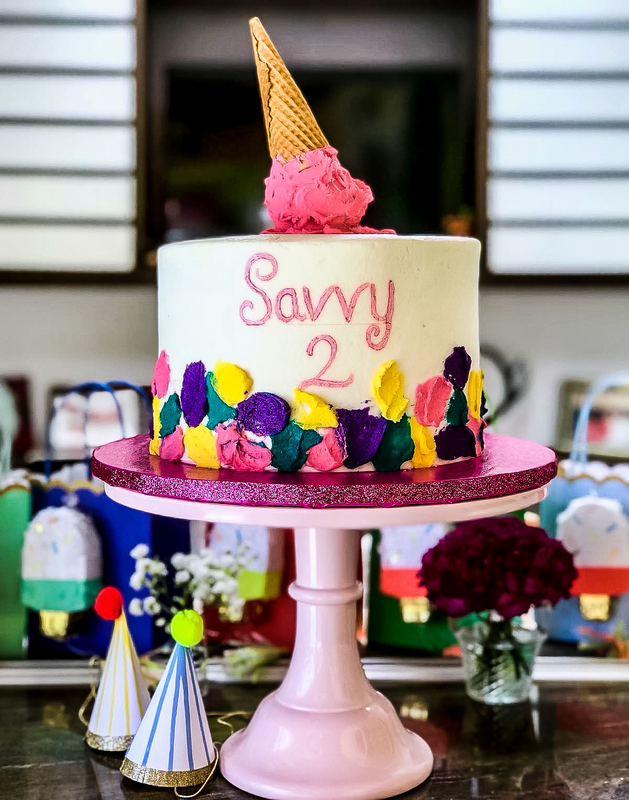 It was easy for us to pick an ice cream theme because they both LOVE ice cream (and so do we!). It's also one of the hottest themes this year. 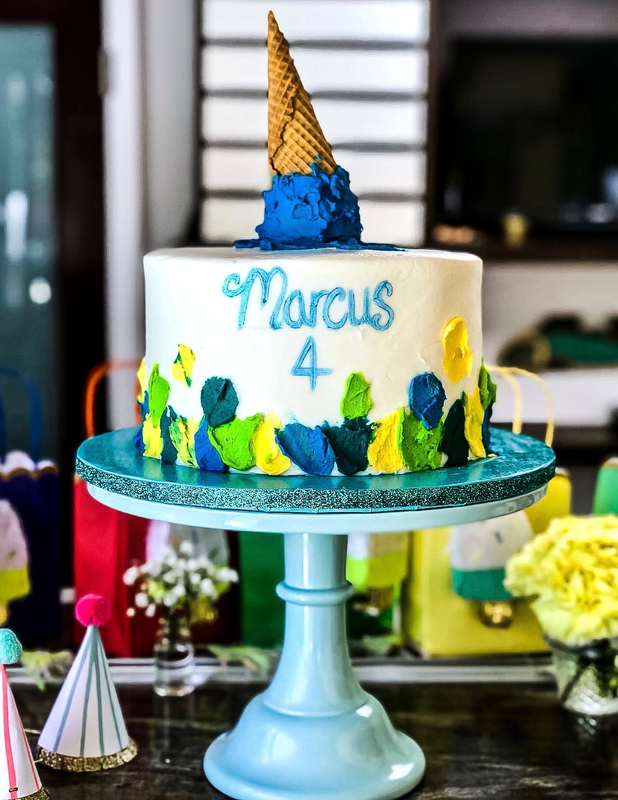 We hosted this party around our pool with the goal of having a fun and relaxed atmosphere while keeping the children entertained. Even though we were decorating and hosting, we wanted to be able to sit back, relax and enjoy our guests. That goal was very much accomplished. We hope you feel a part of our celebration through this post. Be sure to note our tips and resources which may be very helpful as you plan your own party!! I love making balloon garlands so it was a must for our party. 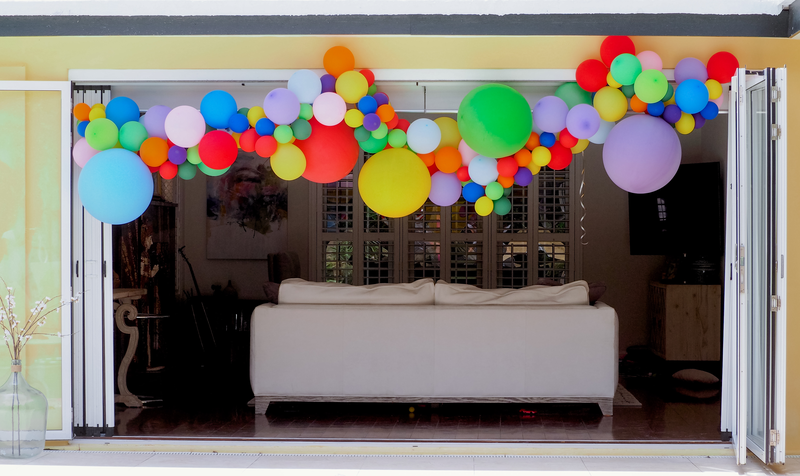 I made this garland using fishing line and a ton of balloons (not as easy as it sounds). We sell a smaller and super easy version to make here - for those interested. Even though this was a pool party we had a variety of toys and games to keep toddlers entertained. 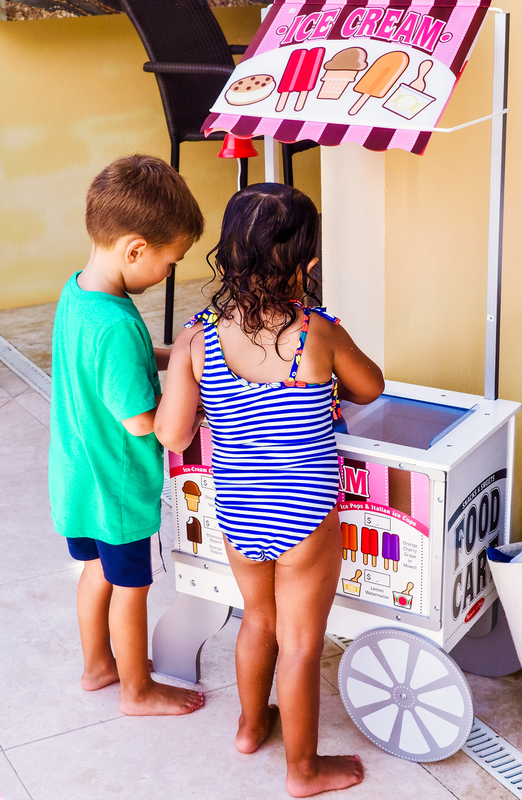 This ice cream cart was a big hit! Tip - this cart may be sourced locally at retailers that sell the Mellissa and Doug brand. It was so much fun to see the kids making sundaes and hot dogs for their parents (especially the dads). 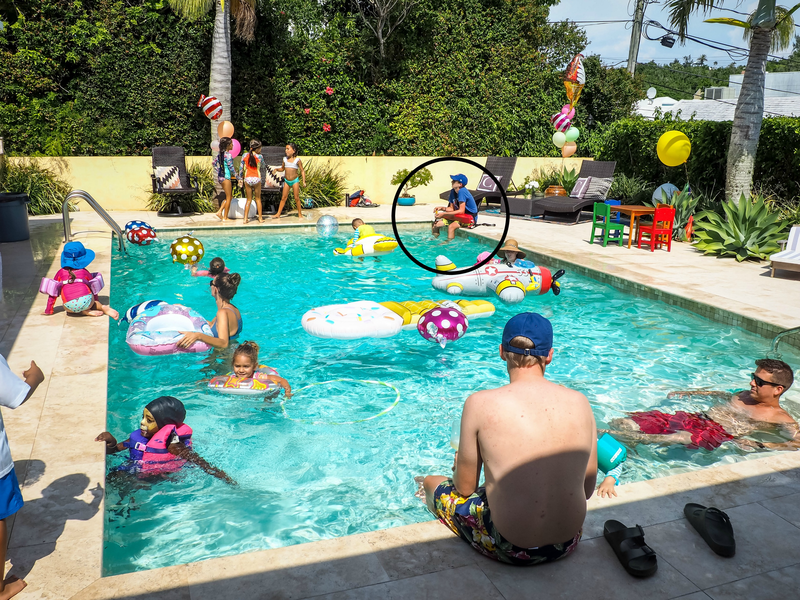 We take pool safety VERY seriously so we didn't think twice about hiring a life guard for our party. We contacted Aquimania Swimming for a recommendation from Lesley White. She has helped us on numerous occasions. These ice cream glasses were such cute find at Brown & Co's home department. Bonus- They were 40% off! 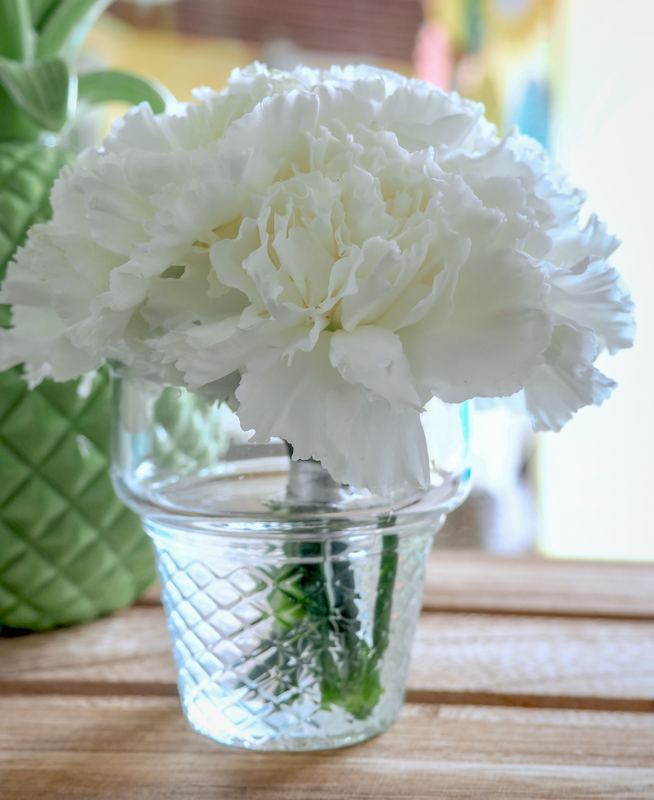 We took our glasses to El Shaddai florist the day before to create pretty ice cream bouquets. 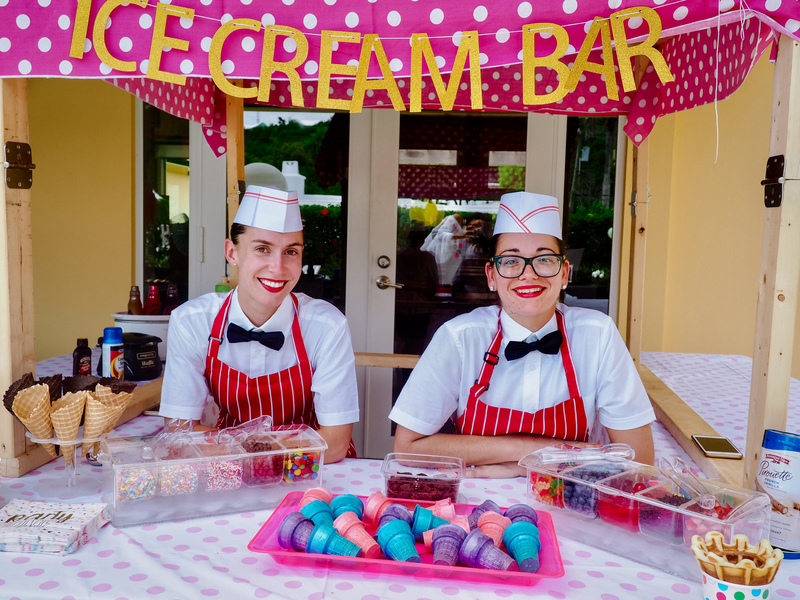 Instead of having a dessert table, our friends from Party Animals created an ice cream stand and made yummy ice cream sundaes for our guests. We loved that they dressed up as parlor girls and we were very pleased with their customer service. Everyone loved it! These gorgeous cakes were created by Latreece Fray and she hand delivered them to our house! If you would like her contact details, please send us a message - we'd be happy to share with you. P.S...Notice the cute party hats? Click here to view on our website. 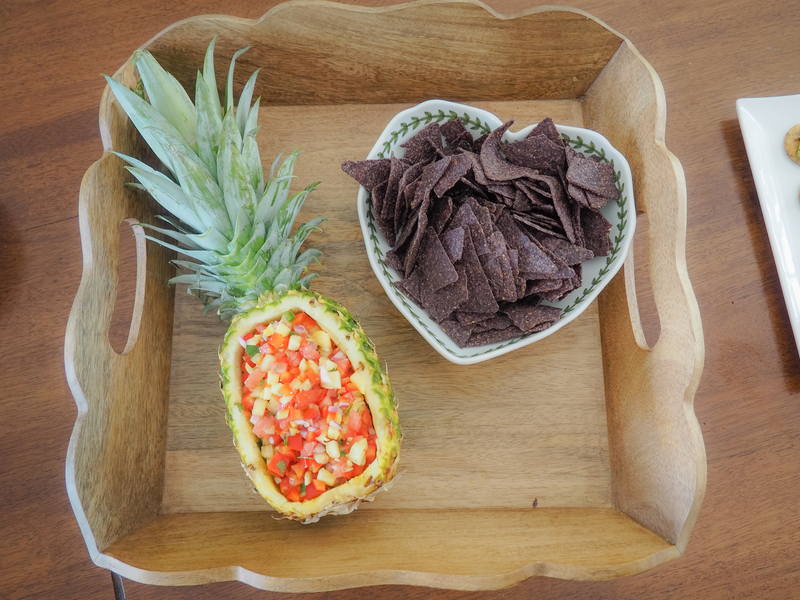 A party isn't a party without food :) We had sliders and hots dogs on the BBQ (suitable for toddlers and easy to make), however, this salsa dish was a hit and EASY to make. Check out the recipe here. 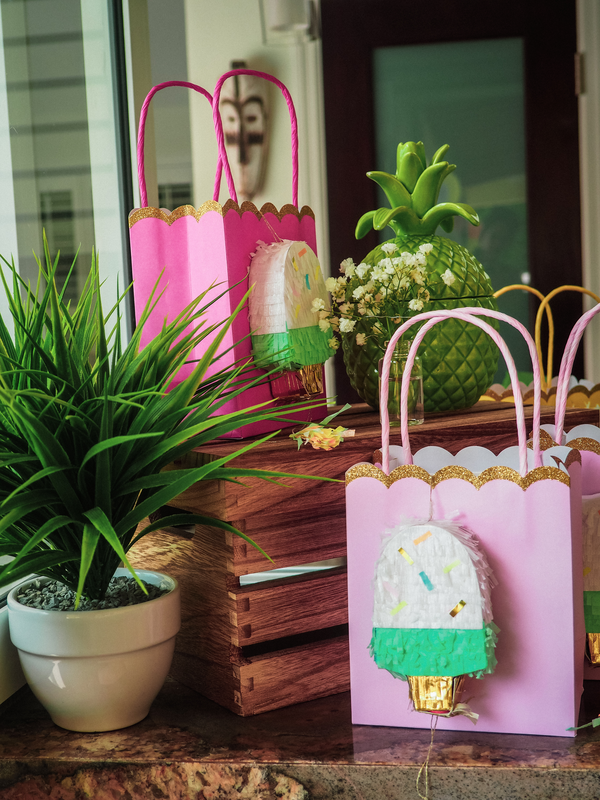 We love a good party bag and filled these ones up with some fun treats! 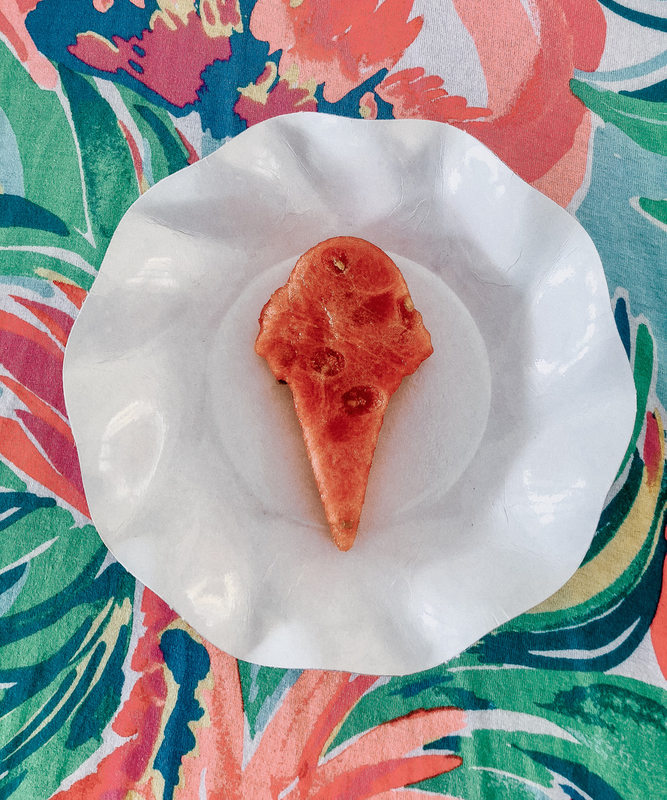 We attached mini ice cream piñatas which had confetti and tattoo's inside (Tip - the kids loved them but warn the mom's before they open them!!). Click here to see our sweet ice cream piñatas. My amazing friend Heidi Baptiste was such an asset with helping me to decorate. There's no way I could have done this on my own. She has such a great eye for design - thank you again! My friend Allison Carter of Confetti Party Plans really inspired me with many ideas and provided support throughout my planning. I met Alison through B-School and it was wonderful to have her insight. She was recently featured by Forbes magazine! Thank you Allison!